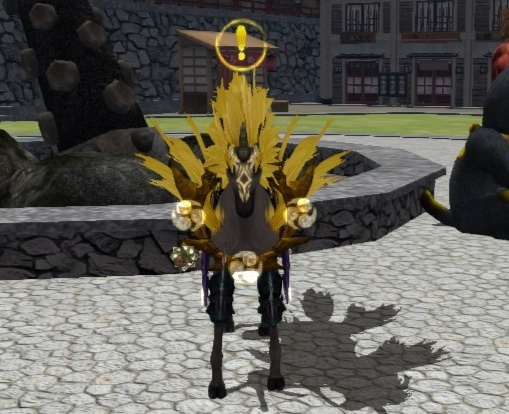 We would like to introduce the latest mount character, Oguchi Makami in this update! After obtaining a manifestation scroll and summoning a mount, pressing the Y key will allow you to freely jump aboard and traverse the world of Onigiri whenever you like! This update we have added the Manifestation Scroll - Oguchi Makami to the Nyankoropon! *Please note that you can only bring in the mount that you are currently riding when you enter a dungeon until you exit the dungeon. Makami's Ougi Divine Punishment Armor, is similar to Fuujin's Brandishing Storm and Raijin's Brandishing Bolt because it expands wings from Makami's body and attacks enemies from your left and right. Furthermore, you can lockon to one party member and give them a special buff! For a fixed period of time, the buff will expand their field of damage! - In order to give other players this buff, they must be a member of your party within your range. - The power of this buff changes in proportion to Oguchi Makami's offensive ability. 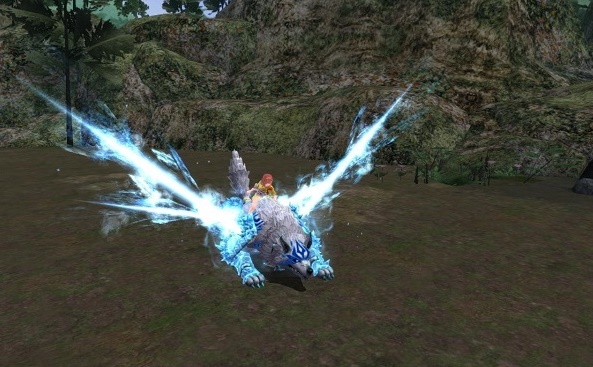 - After using this buff, if you get off your mount then the effect is cancelled. - The exact direction the wing will expand varies, but damage fixed damage will be dealt each time. - The damage this Ougi does is set to be lower compared to the rest. - If a player defeats an enemy with this buff in effect, the ability to obtain EXP, items, and dropped items will be increased for this player. *If the party is disbanded, this effect will be lost. You may not use this skill when a partner or support character is summoned (even if it is in your usable skill slots). Be sure to befriend the trustworthy and reliable Makami! We are also introducing new Mini Character Accessory items to the game! You can get the Head Accessories through the item exchange of the event, and the Mini Character Accessories through the gold tier of the Nyankoropon! We are introducing an all new item, the Shapeshifting Scroll to the game! When using the “Shapeshifting Scroll”, the corresponding "Shapeshifting Weapon" will be unleashed. From the outfit terminal screen, by equipping the "Shapeshifting Weapon", you can change only the appearance while keeping the performance and level of the weapon you have! - You can use the Shapeshifting by opening your inventory, hovering over the scroll with your cursor, and hitting "Use". This will activate the weapon. - You can change the weapon form by opening the menu > My Character > Clothing, then going to the Shapeshifting Weapon slots. 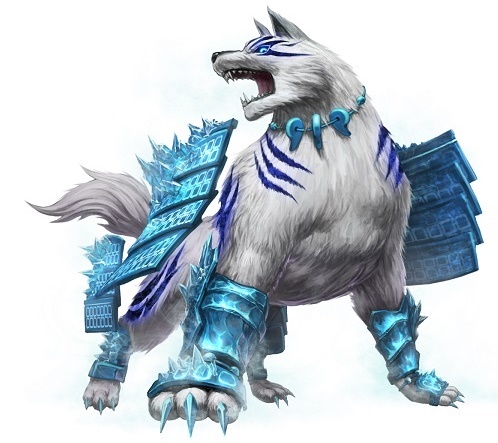 In this event, a new series of Silver Ryu weapons will be introduced through the Shapeshifting Scrolls! After completing the event quest, this scroll will appear in the item exchange shop! Be sure not to miss out on it! You can begin this event quest by talking to Makami in Onigashima. By completing this event quest, the Frigid Flower can be acquire to forge the Shapeshifting Weapon in the exchange shop! Frigid Flower Explanation: You can obtain 1 through completing the event quest, and 7 through the achievements, then exchange them by talking to Makami. New achievements have also been added to the game! 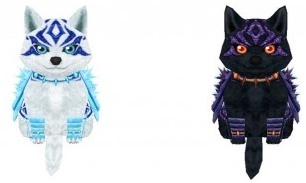 By completing them, you will have the chance to obtain the powerful Frozen Hell Magatama. You can enter the new event dungeons by talking to the NPC Makami! Please note that you will be unable to change equipment once you enter the dungeons. Vanguard Characters: If you have unlocked Musashi or Dark Musashi as a partner, the clear rewards will have a bonus attached to them (Reagent Remains, False God Fragments). 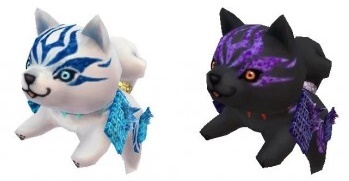 Mount Characters: If you have unlocked Oguchi Makami, Fuujin or Raijin as mount characters, the clear rewards will have a bonus attached to them (Reagent Remains, False God Fragments). 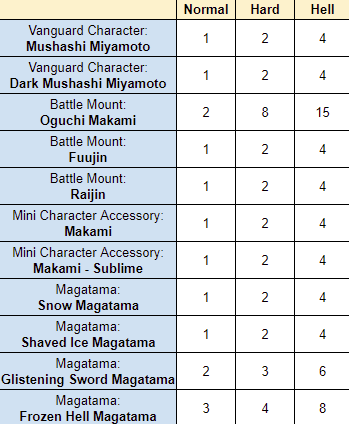 Mini Character Accessories: If you have the Makami or Makami - Sublime accessory equipped at the time of clearing the dungeon, the clear rewards will have a bonus attached to them (Reagent Remains, False God Fragments). 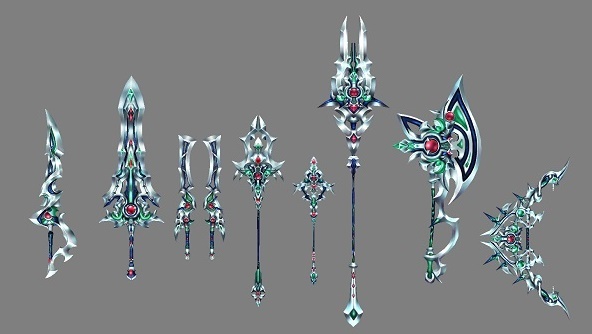 Magatama: Snow Magatama, Shaved Ice Magatama, Glistening Sword Magatama, Frozen Hell Magatama equipped at the time of clearing the dungeon, the clear rewards will have a bonus attached to them (Reagent Remains, False God Fragments). *Depending on the character and accessories used, the extent of the bonus effect will differ. Bonus Explanation: In the Eternity Grotto, Reagent Remains that drop will be increased based on the difficulty you challenged and the partners and accessories you have equipped. 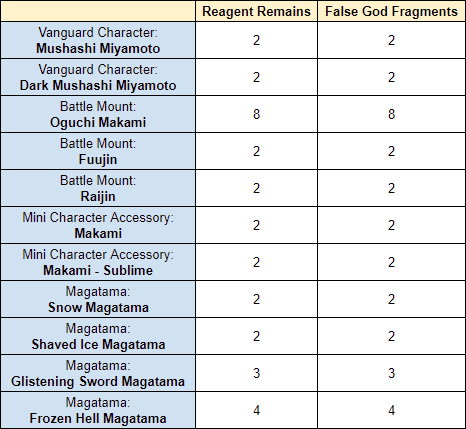 Similarly, in the Dragon Spiral Den, False God Fragments that drop will be increased based on the same factors. Bonus Explanation: In the Forest of Frozen Flowers, both Reagent Remains and False God Fragments that drop will be increased based on what partner or accessory you have equipped with you. PLEASE NOTE: This dungeon can only be challenged 3 times per day. If you would like to obtain the achievement for completing in 50 times, remember to start early! - Dungeons are Available until 7/23 before maintenance. - Makami's exchange shop is available until 7/30 before maintenance. Makami and the mini character accessories have newly been added! You will also see previously released mount characters featured in this update! In Unit 01, every Platinum Tier win comes with a Premium Gacha Ticket, and every Gold Tier win comes with an SP Gacha Ticket! This tier can be spun with an SP Gacha Ticket or OC. We have added a new Limited Nyankoropon and a Discount Nyankoropon for you! Makami has also been added to the Premium Nyankoropon (both 1 & 2). - Only paid Onigiri Coins may be used. - All prizes have a Yorozu ticket attached. - Can only be spun in sets of 5, but at a discounted 120 OC. - Can only be spun a total of 25 times per character. 50 Yorozu tickets can be exchanged for a Legendary Gacha Ticket which can be used to spin either of the Legendary Gachas. 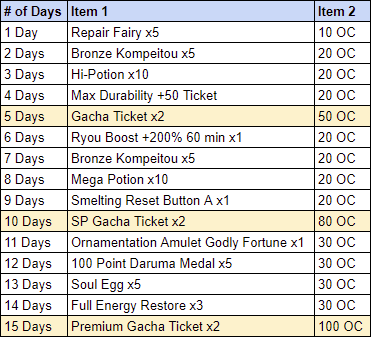 We are introducing a special login bonus calendar from Makami in this update! *This login bonus calendar does not loop, and is not consecutive. Please note that it will end on 7/24 at 11pm PDT. 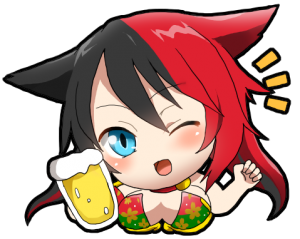 We would like to introduce the Howling Wind OC Campaign that will help you get special bonus items with your OC purchases available from 7/3 - 7/30. - The bug preventing players from opening Miroku's menu has now been fixed. - We have returned Nobunaga to her regular place in Onigashima, and re-added the dungeon shortcut as well. - The Zunda Event has now ended, and all achievements, event Gacha Tickets, and limited boosts have been removed.